Prom Limo Hire offers you our Bentley Continental Flying Spur for the finest in luxury transportation for your school prom. This is sumptuous, spacious four door car with the soul of a high performance. This model in the Bentley range offers the highest level of exclusive travel for special occasions, like your school prom. 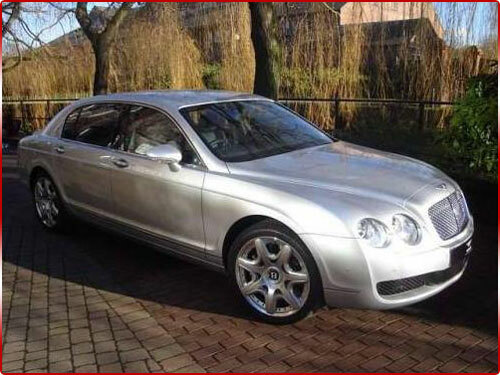 The Bentley Continental Flying Spur has understated style; it's a brilliant luxury car. It has been built from the finest materials to exacting standards. With its W12 engine is great car for its unforgettable driving dynamics. The exquisite design and leather interior to the luxurious soft carpet, this vehicle is undoubtedly provides the finest style. It is very exclusive and makes a real style statement. It has been designed to be extremely comfortable to ride in as well as easy to drive. Prom Limo Hire is pleased to give you the opportunity to hire this luxury vehicle as chauffeur driven for a school prom, available to any address in the midlands. This car oozes extravagance and stands out from all the rest with its state of the art technology, so hurry and hire with Prom Limo Hire and this car will make your occasion extra special as you travel to your destination in style and luxury. 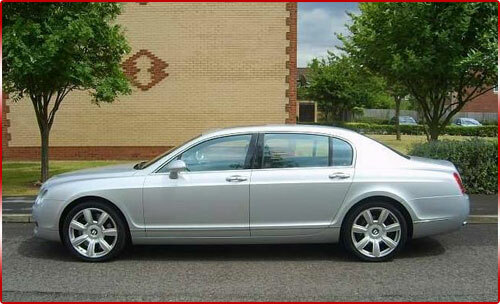 We are sure you will enjoy your journey with us in our Bentley Continental Flying Spur. You can sit back, relax whilst you drinking a glass of champagne and admire the scenery. 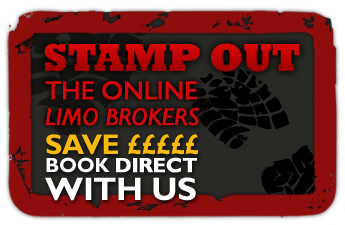 All our vehicles are maintained in top condition and our chauffeurs are experienced in their profession. They are always polite and smartly dressed and make sure that you get to your destination feeling relaxed. They will provide you with excellent door-to-door service, while you enjoy a glass of your soft refreshments listen to your favourite music en route. This is a care hire experience that leaves that lasting impression. 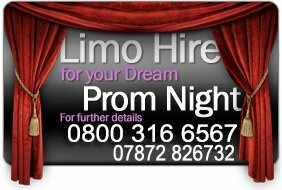 Contact Hire Prom Limo Hire today to find out more and discover our competitive rates. We offer our services to most towns and cities in and around the Midlands including Limo Hire Leicester, Limo Hire Birmingham, and Prom in Lincoln, Prom in Sheffield plus many more.